Many people take the time each December to review progress on their year’s personal, health, and financial goals. It’s also a great time to conduct a year-end career review. Whether you had a job, lost a job, or changed jobs in 2016, you can easily complete a quick year-end assessment of your career, using the five questions below. 1. What were your career highlights (or lowlights) this year? 3. What didn’t work out as planned? 4. 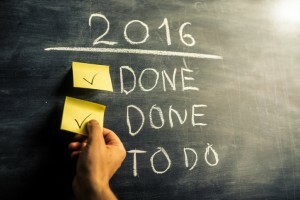 What are you going to do next year to move toward your career goals? Here’s where you can get a head-start on 2017: Write out a list of career goals for the coming year. 5. What is—and when will you get started on—your first step for next year’s goals? Before you wrap up your review, take the time to identify a specific action your’e going to take—and give yourself a deadline for making a phone call, networking, beginning a job search, or exploring new career or training options.